Just when you thought you've seen it all, no matter the rivalries, there is always a better way to resolve issues than embarking on fetish means. A Married woman raises alarm on social media. after she found out her hidden picture which was pinned with nails and used for Juju in her mother-in-law’s cupboard. 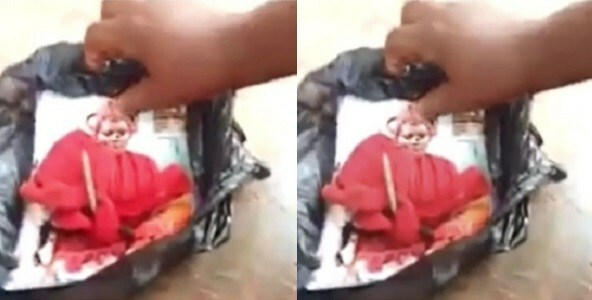 The young wife Narrates that her picture was pinned down with nails and juju charms. As seen from the video, the mother-in-law was forced to carry the charm out of the house by herself. This incident happened in Southern Part of Nigeria, Edo State. Nigerian Lady Cries Out After Finding Her Photo Pinned Down with Nails and Juju Charms inside her Mother-in-laws Wardrobe in Edo State Nigeria!!! Anonymous comments will no longer be approved.